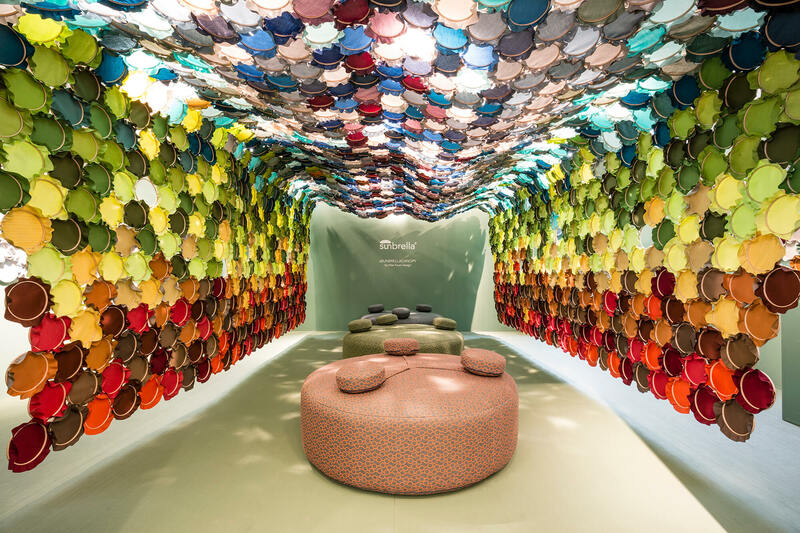 Created by French designer Élise Fouin, the Sunbrella Canopy exhibition featured a mosaic of colorful Sunbrella fabrics inside thousands of interlocking embroidery hoops that immersed visitors in the sounds and senses of a lush tropical forest during Milan Design Week at the SuperDesign show. Light played a central role in the experience, filtered by the bright colored fabrics, adding dimension and texture to the space. 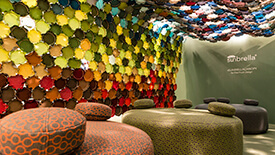 Fouin’s design for the space drew connections between the forest canopy and Sunbrella fabric, noting that both were subject to the extremes of nature, such the sun and rain. The canopy is the forest’s top layer – a point exposed to the extremes of nature, such the sun and rain, just like the brand’s fabrics. 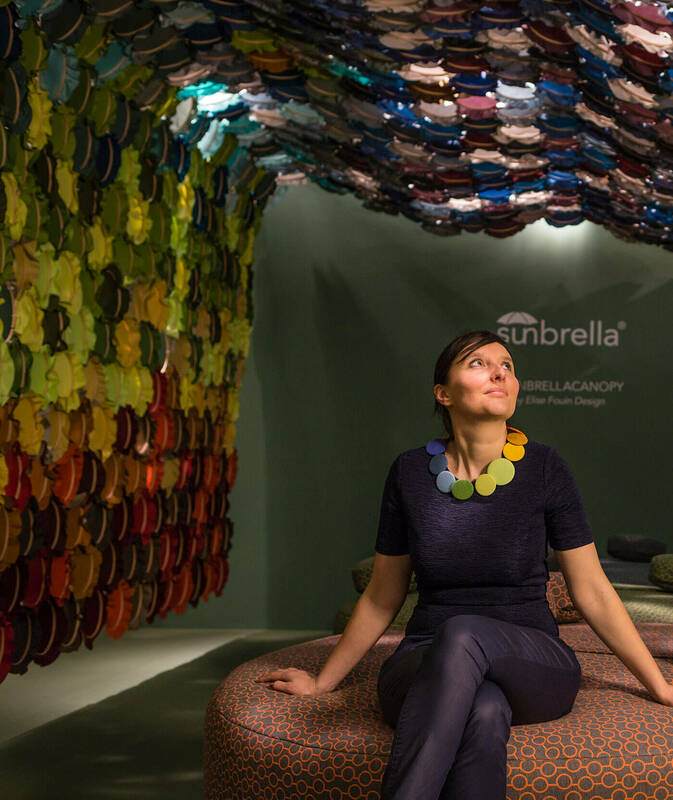 See how Sunbrella Canopy came to life.